Out with the Demon, in with the Fortune: it's Setsubun! Every year, Japan celebrates Setsubun on February 3rd, a day before Spring, according to the old Japanese calendar. On that day, a special ritual is performed to cleanse away all the evil of the previous year, and drive away the evil spirits for the year to come: it's Mamemaki. 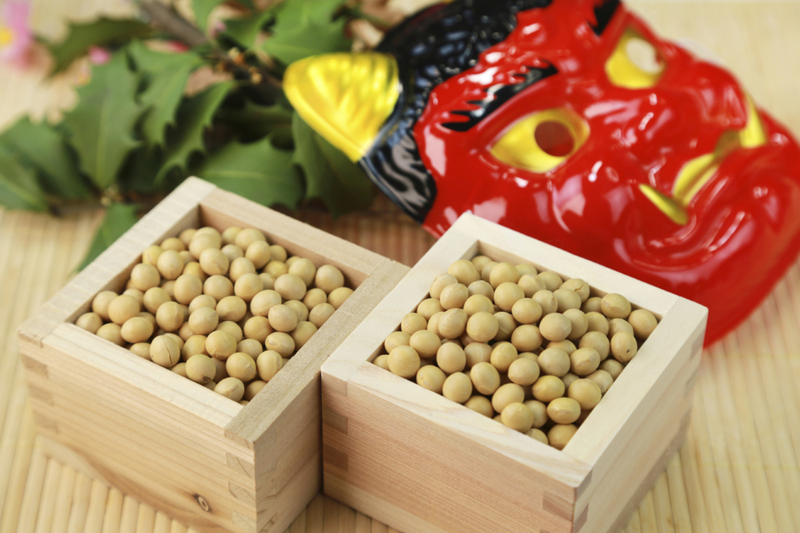 Litteraly "bean scattering", Mamemaki sees the male head of the household wearing a demon mask and being chased out of the house, while the rest of the family throws roasted beans at him and slam the door behind him, chanting "Oni wa soto! Fuku wa uchi!" (see title). To ensure luck, the roasted beans are then eaten: one for each year of one's life. For this Setsubun, Escape Hunt Tokyo prepared something special for you: from Wednesday February 1st until Friday February 3rd, the groups who manage to escape our rooms will get a surprise as a reward! Come and celebrate Setsubun with us, and... beware of the Demon!